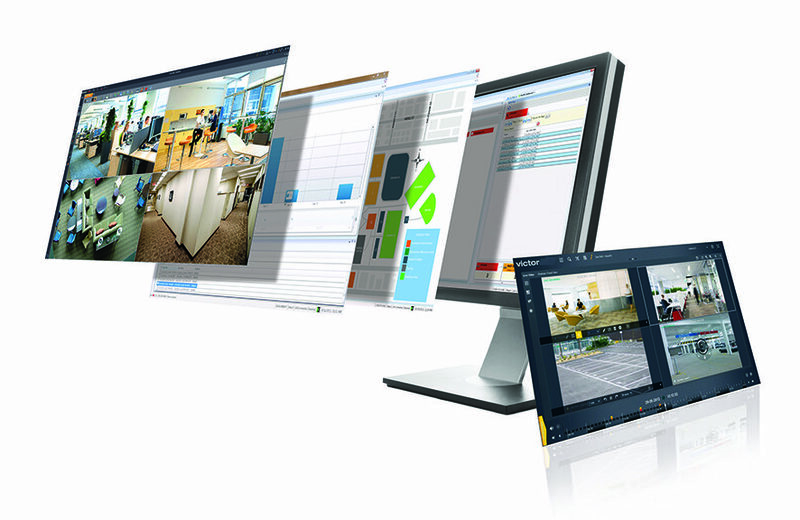 The latest version of victor Unified Video Management Systems and VideoEdge Network Video Recorders presents a contemporary User Interface (UI) that enhances operator productivity and new analytic features that improve a customer’s visibility of their entire environment. victor and VideoEdge 5.0 adds a rich feature set that includes license plate recognition, perimeter detection, camera-based failover redundancy and several other advanced surveillance features, delivering greater command and control capabilities when time is of the essence. victor’s transformed interface has been redesigned to offer a task-based workflow approach. The new UI moves from an antiquated ribbon bar to a contemporary navigation pane (complete with tool tips) to significantly reduce the number of clicks needed for day-to-day surveillance activities. This focus on efficiency is well-illustrated by the new “home” view that automatically remembers frequently used operator actions and presents those in a “Recent Items” tab upon login. The new UI is available in dark and light theme options; the dark option is well-suited for dimly lit command center environments and has been proven to reduce eye strain while improving video quality. Far beyond a simple re-skin, the new interface simplifies forensic investigating and live viewing and provides the foundation for UI consistency across all victor and VideoEdge applications. And, while the change in UI is dramatic in appearance and increased operator efficiency, the changes are so intuitive that the learning curve is surprisingly short. 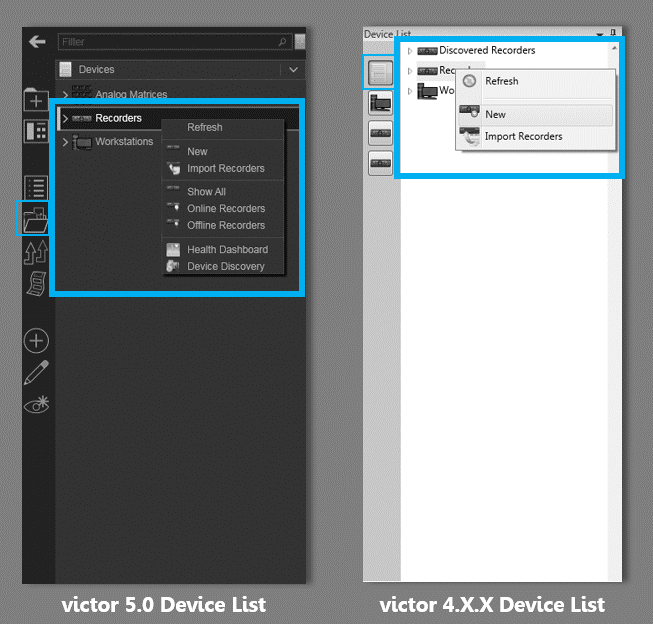 We have enhanced victor’s Dynamic Views by adding right-click options to bring up device lists and detailed information about those devices (name, IP address, health status). In addition, we have simplified an operator’s ability to view alarms and events with ‘filter and sort’ options in the Event Viewer. Filter and sort options provide a much cleaner view of alarms and events. 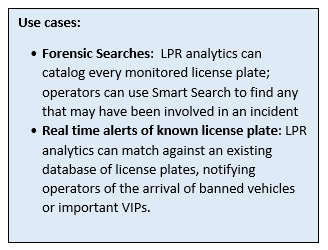 License Plate Recognition (LPR) from victor and VideoEdge helps security operators identify, track and analyze vehicles for improved outdoor surveillance and better awareness of surroundings. This analytic can identify license plates in both stop & go and slow-moving traffic (≤ 20mph), and will trigger real-time alarms and automatically begin recording when blacklisted vehicles enter a restricted area. Operators utilize “fuzzy match” with Smart Search, victor/VideoEdge’s forensic search engine, to identify commonly confused characters, such as 8 and B, to generate a list of possible matches. Smart Search can also place asterisks (*) and question marks (?) to correlate recorded video and searches when only a portion of a license plate number is known. For optimal performance, we recommend Illustra Flex IP Bullet or Illustra Pro 2MP Mini-Dome cameras, or equivalent IP cameras with WDR and high shutter speed. 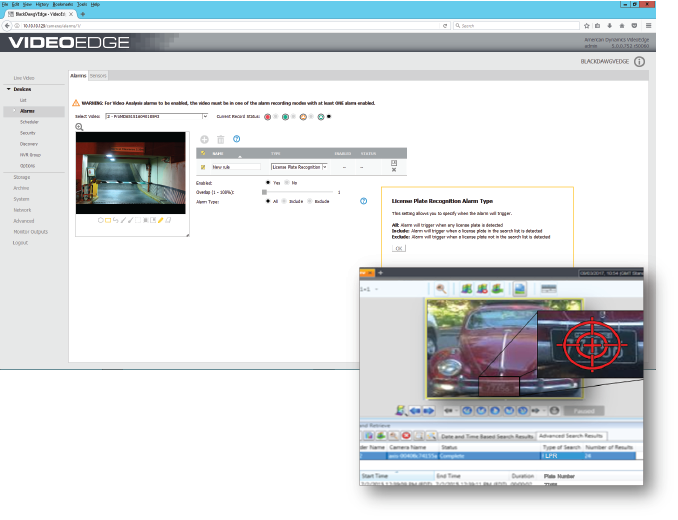 The new perimeter detection analytic rule, now included in the VideoEdge Video Intelligence and Analytics package, can trigger an alarm if a configured zone is approached or breached, and can be used for real-time alarms or forensic analysis. 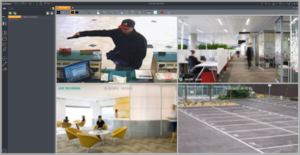 VideoEdge’s new TrickleStor feature adds cost-effective redundancy by allowing the video that is recorded on Illustra IP cameras’ SD cards to trickle back to the VideoEdge NVR in the event of communication failure or network outage. If communication between the NVR and cameras is interrupted, the camera automatically detects the anomaly and begins recording to its internal micro SD card, storing up to 128GB of video depending on the camera. Once the connection is restored, the recorded video is then seamlessly transferred back to the NVR’s hard drive. 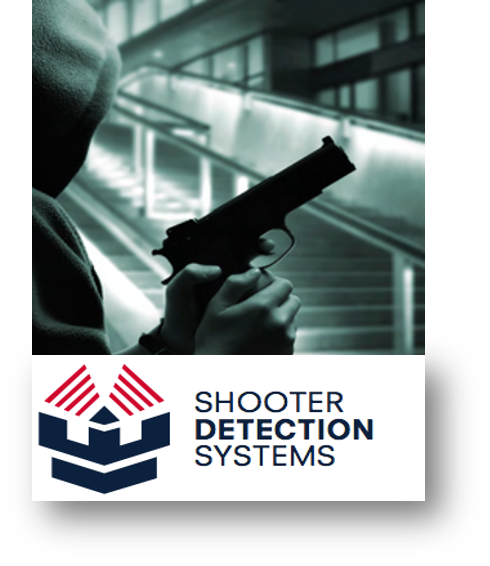 The new integration with Shooter Detection System’s gunshot detection solution ties immediate gunshot detection alerts with victor and VideoEdge to pull cameras to the shooting incident. This enables operators to rapidly identify shot location on a floor plan, and provide emergency response instructions for instant situational awareness to a shooting event into one interface. Visit our web site to learn more about victor and VideoEdge.